2.5 gallon gas can. 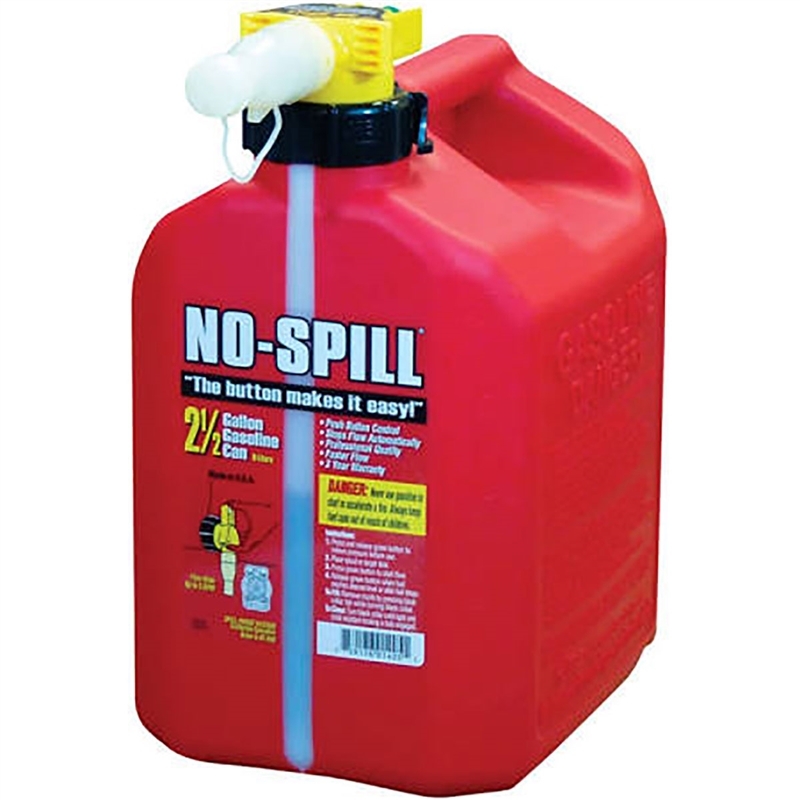 Red No Spill gas cans are tested and certified to meet standards and specifications for portable gasoline containers for consumer use. Professional quality. Patented self-venting, self-sealing nozzle; just pick up, tip, and press the button to pour. Flows up to 3 gallons per minute. Nozzle stops flow automatically when the tank reaches full. Unique features include quart and liter markings molded into the can for easy reference and mixing. Stainless steel screen in the spout filters out debris while pouring. Tapered 7/8" OD spout tip fits into everything from chainsaws to autos. Dust cap attached to protect spout from dust and debris when not pouring.